WAEC GCE result statistics have been announced. 3,102 candidates, representing 26.08%, obtained credits in five (5) subjects & above, including English Language & Mathematics. 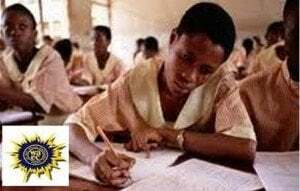 See also: How to Check 2019 WAEC GCE Result Online. Pls, is GCE result out? I mean the second series of 2018 exams. Comment Text*Pls hw can i get waec xam questions & answers 2019? Comment Text*which Day Is Waec Result 20180 march/june Coming Out?I Need The Exact Date Please. Comment Text*please I wrote waec GCE last year 2017 and the result is not yet out. Comment Text* many student fail nd its bad because nt like other rich citizens, dir parents really suffer 2 get dat money nd nw no show nd u people think dat failing such student is a good way of promoting our president change begins with me,no u just make his work hard by failing those students.I no many dat check dir result are either crying or worst. U all are very wicked, many students got F9 all true. please, is there any update on the release of the 2017 withheld GCE result? pls, the 2017 GCE result that was held, has it been released? @ lekxamson, try using your username and password to retrieve it from http://registration.waecdirect.org/APPFORM/ReprintPhotocard.aspx.